Augmented reality (AR) is the concept of inserting virtual objects into real scenes. Often, augmentations are aligned with rigid planar objects in the scene. However, a more difficult task is to align non-rigid augmentations with flexible objects like cloth. To address this problem, we present a method to perform real-time flexible augmentations on cloth. 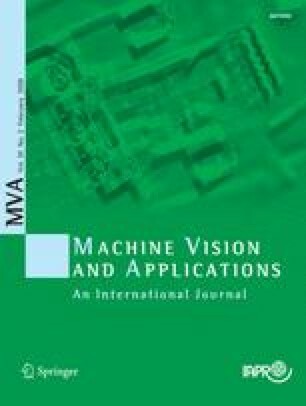 Our method involves sparse cloth-tracking in video images using a new vision-based marker system with temporal coherence. We include an image-based method to automatically acquire real world illumination and shadows from the input frame. Non-rigid augmentations are achieved by rendering a textured 2D mesh aligned with the cloth surface, and combining the illumination result. The ability to perform realistic augmentations on cloth leads to applications in fashion, advertising, home decor and entertainment. We demonstrate our cloth augmentations with an application to interactively design T-shirts by demonstrating different virtual logos on a physical shirt in real-time.